Apple had released their first programming language, Swift, as an open source project in the year 2014. 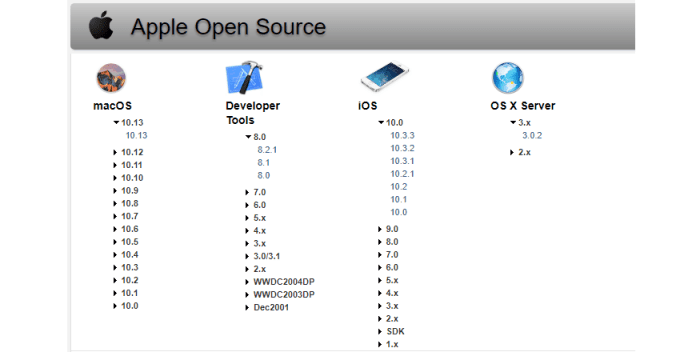 Although Apple has long stressed that it has made important contributions to all kinds of open source projects, but many of its technology is still closed source. Now, the Cupertino giant has released the source code of its XNU kernel for macOS and iOS on GitHub. XNU, which is defined as ‘XNU is Not Unix’, will now help developers understand core part of macOS kernel and make it easy for them to learn how devices and layers of operating system works. The source code is supplied with the Apple Public Source License 2.0, which is a rather restrictive license. Currently, it is not clear how much the developers can benefit from this move, but it is definitely designed to attract more developers to Apple. Developers might want to read all the details before embedding their part of the XNU code. For more information, refer to the GitHub page dedicated to XNU.